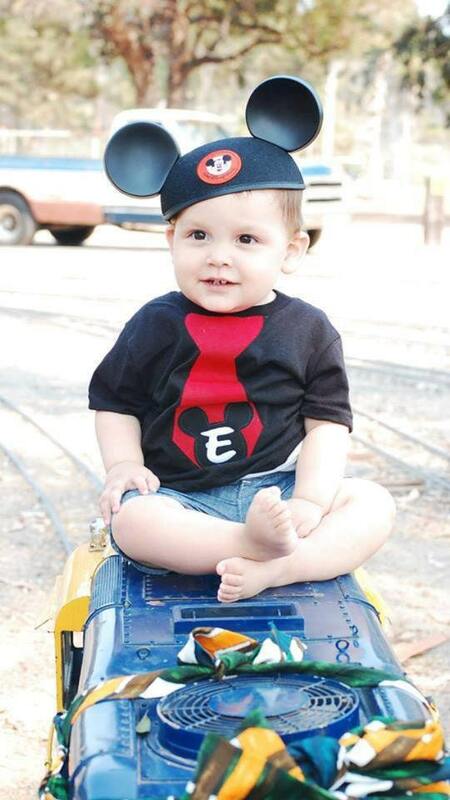 This shirt you can choose your color onesie or tshirt, color tie, and most of the time I always do the Mickey head in solid black unless requested otherwise. You can have this item with or without embroidery. This shirt is perfect for birthdays. I can embroider a number or initial in the tie. Girls dress, or sibling set sold seperately in my store.